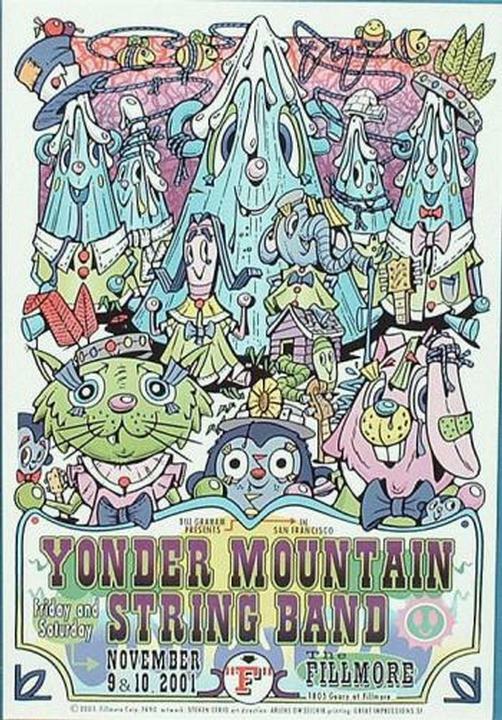 Concert poster for Yonder Mountain String Band at The Fillmore in San Francisco. Nov 9&10 2001. 13x19 card stock. F394. Art by Steven Cerio.